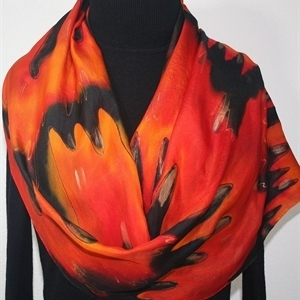 This is a 100% Habotai silk scarf in bright shades of red, orange and black; decorated with accents in bronze. 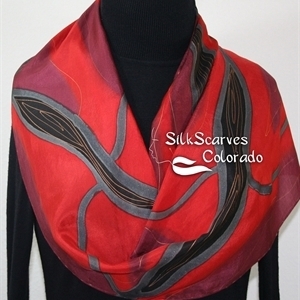 It is a very feminine, softly draping silk scarf, that makes a great accessory to any outfit. 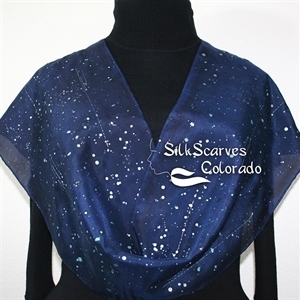 SIZE: This is a large scarf, allowing more generous wrapping - size: 14" x 72" (35 cm x 183 cm). 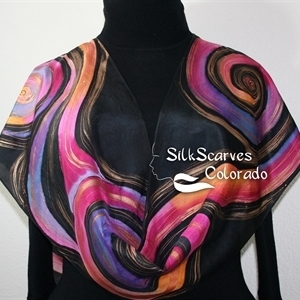 Slight shrinkage occurs due to the steam-setting process. 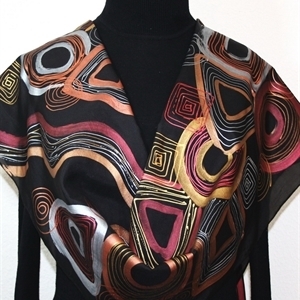 This is a 100% habotai silk scarf in black, featuring geometrical shapes in metallic silver, gold, bronze, copper, and russet. 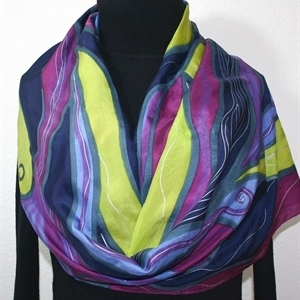 It is a very chic silk scarf that makes a beautiful accessory to any outfit. 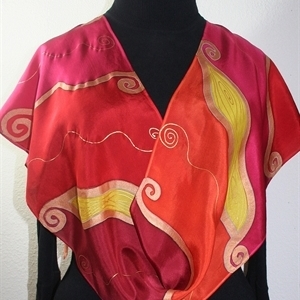 Size Large: 14" x 72" (35 cm x 183 cm). 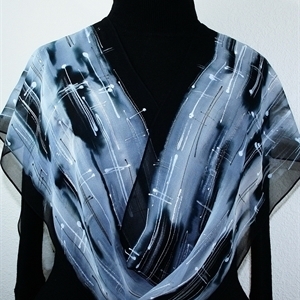 This is original size - slight shrinkage occurs due to the steam-setting process.